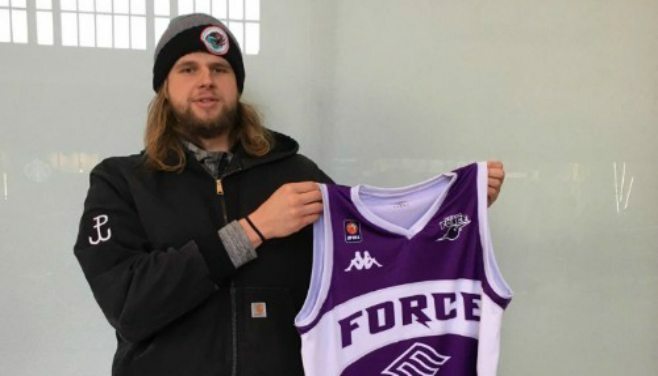 Leeds Force are bidding to turn their season around after making a double swoop for of 6ft 10in Australian-Polish centre, Jack Ocwieja and 6ft 7in Kosovo international forward, Gazmend Sinani. The 24-year-old Ocwieja switches to Force after a stint with Viterbo Favl in Italy and having first stormed onto the basketball scene Central Arizona College, before earning the opportunity to compete in NCAA Division I with Louisiana-based university Grambling State. Meanwhile Sinani brings a wealth of experience at an elite level of European basketball, most recently averaging 13 points per game with KB Rahoveci in the Kosovo Basketball Superleague. Sinani’s domestic successes have seen him rewarded with five appearances for the Kosovo national side, featuring prominently in the team’s quest for EuroBasket 2017 qualification. Both players were signed just in time to feature in the Leeds line-up yesterday, but weren’t able to prevent Force from falling to a home loss against Worcester.